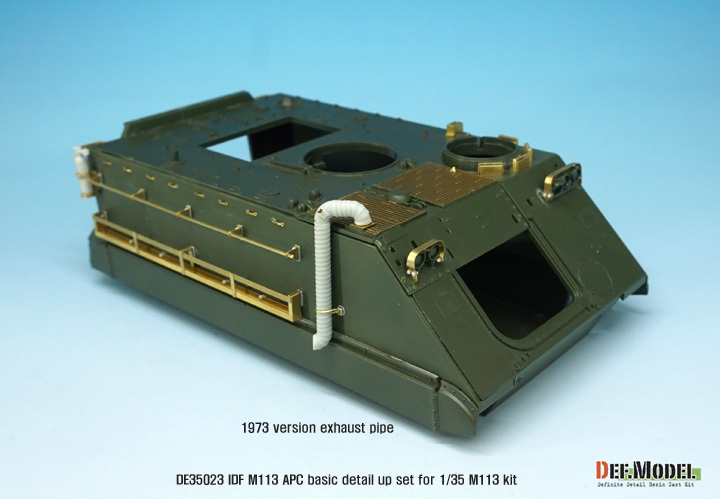 Includes side basket and handle for IDF M113. Includes parts that reproduce extended exhaust pipes by time. 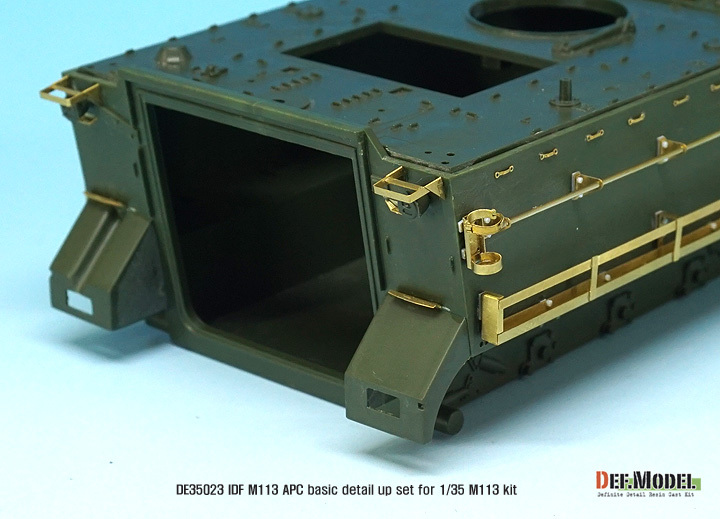 Includes lots of detail-up parts from some older M113 kits. Includes IDF plastic fuel tanks. Total 2 PE Plates, 9 resin parts, 2 brass rod and 1 glass seal.